Colliery, Blists Hill, Ironbridge Gorge Museum, 13 December 2012 2. This 19th century winding engine operates the pithead gear. 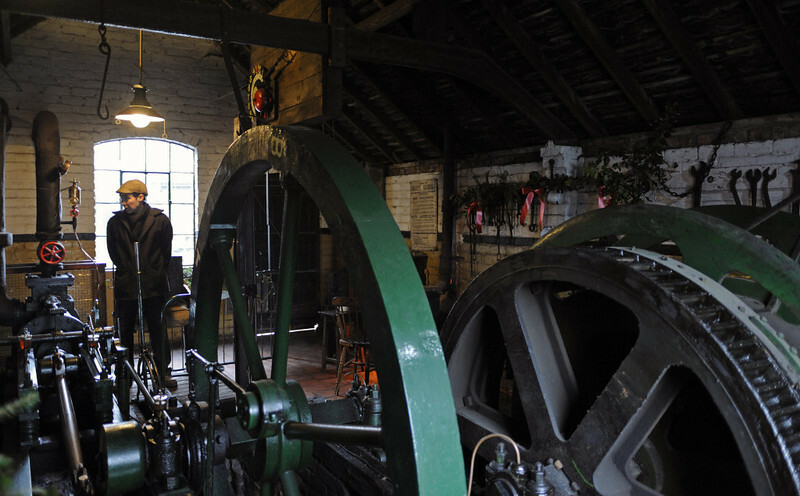 It has come from Jackfield, between Ironbridge and Coalport, and is in a replica of the engine house that used to stand on this site.